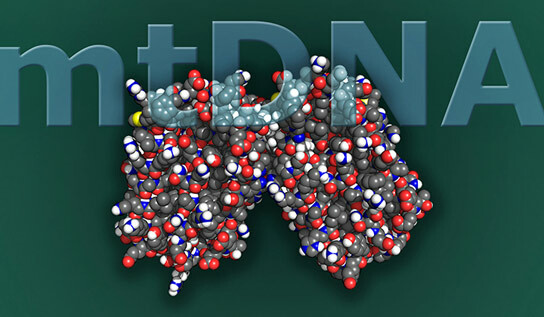 Yale researchers have identified an unexpected relationship between mtDNA and the innate immune response, showing a new source of inflammation that could promote common diseases and aging. The thousands of mitochondrial DNA (mtDNA) molecules present in each cell are known primarily for their role converting food and oxygen into energy. But Yale researchers have identified an unexpected relationship between mtDNA and the innate immune response. This unexpected antiviral activity, without the presence of a virus, may point to new areas of research on human diseases. “It’s pretty well accepted that mitochondria are involved in inflammatory pathology like that seen in autoimmune diseases,” said Shadel. The study, however, suggests a new source of inflammation that could promote common diseases and aging, he added. The researchers also tested the effect of certain viruses, such as the herpes simplex virus (HSV), on mtDNA and the antiviral response. They discovered that HSV actually attacked mtDNA during infection, making mtDNA stress or instability a normal, and necessary, part of the way that a cell senses and responds to infection. Shadel and first author on the study, Yale postdoctoral fellow Phillip West, plan to further explore these phenomena in studies of aging and human illness. “We found a pathway that is leading to an antiviral, pro-inflammatory state. We want to know if the mtDNA instability triggers these pathways, contributing to disease and age-related pathology,” Shadel explained. The first area to which Shadel and his team plan to apply this new knowledge is cancer. The study was published online on February 2 by Nature. Be the first to comment on "Researchers Uncover Genetic Trigger for Immune Response"